It’s a New Year, which means it’s time to make promises that are going to make 2019 your year. It can be hard to stick to your New Year’s Resolutions, with so many forks in the road on your journey to achieve your goal. But would your journey be a lot easier with your furry-bestie at your side? Here are a few Resolutions that you can achieve with your dog. One of the most popular New Year’s Resolutions is to work out more and shed those extra Christmas pounds. It’s one thing to promise to spend time in the gym and go for a run more often, it’s another thing when it comes time to do it. Thankfully, you can do all your exercise time with your dog right beside you. 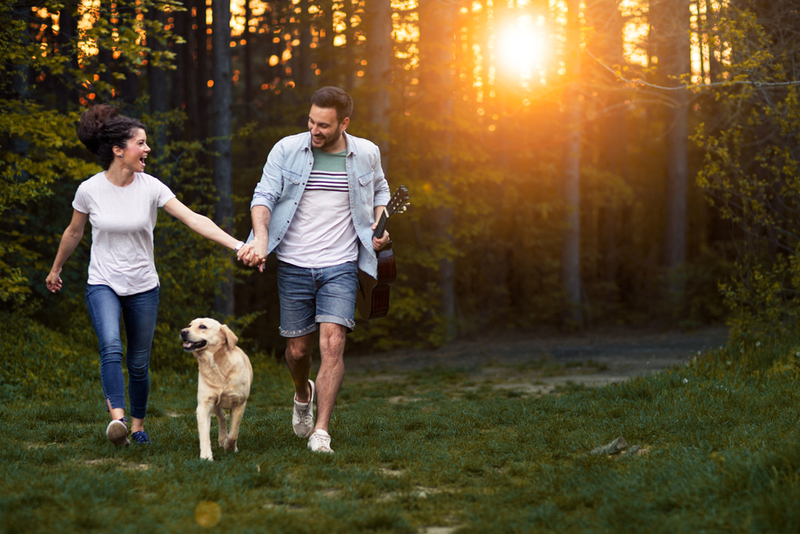 Whether it’s going for a run with your dog or playing activities together, you can get yourself in shape whilst spending time with your furry pal. 2. Look Good All Year Long! Is 2019 the year to get yourself looking fabulous? If you’re looking to give yourself a little pampering, why not give your dog the same treatment? Now, your dog is a little cutie. But with a little grooming, you can get your pooch looking like they’ve stepped off the catwalk. From nail clipping to a good brush, there’s plenty of ways you can pamper your dog to be the stunner you know they are! Did you feel like you were stuck in a rut in 2018? Well, this year is the time to break out of your routine and try something new. There’s plenty of things you can do to indulge your adventurous side, and the best part? You can do many of them with your dog! Try visiting a dog park for the first time, or even learning a new trick like balancing treats on their nose or playing a new game. There’s plenty of new experiences for you and your canine pal to find this year. 4. Become a Social Media Star! Is this the year you and your pooch become a viral sensation? Everywhere you look on Facebook and Instagram these days, there’s a new dog profile. It’s become a huge craze, with people showing off their dogs in all their glory. So why not show the world how great your dog is by adding more pics of them to your social media? This can either be through your own profile or by setting up a profile for your dog. You never know… your pooch could be the next insta-famous pooch! 5. Spend More Time With the Family! It’s always difficult to get everyone to agree on an activity. But if there’s one thing guaranteed to unite the family, it’s spending time with the dog! Bringing the dog on a day out is a great way to get everyone engaging with each other. This could be taking a trip to somewhere completely new, or even taking a walk together through your favourite spot.